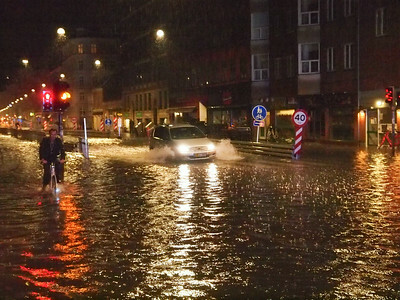 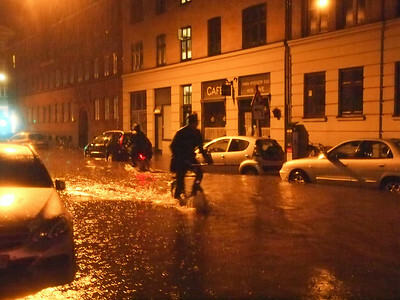 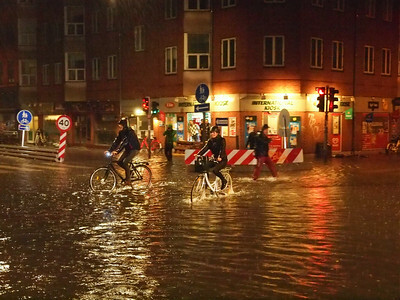 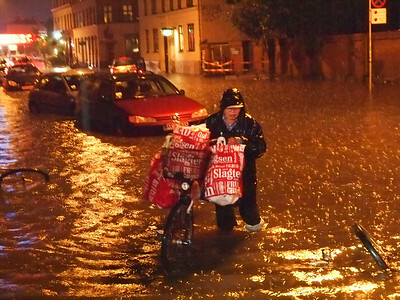 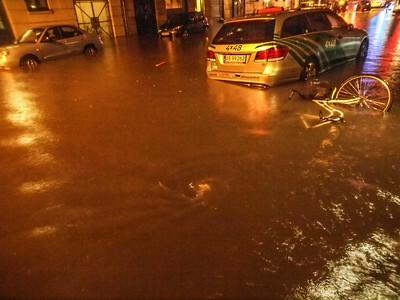 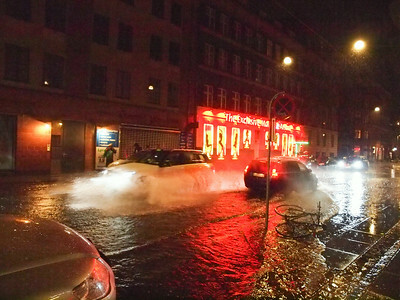 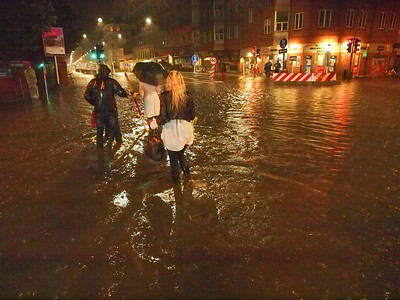 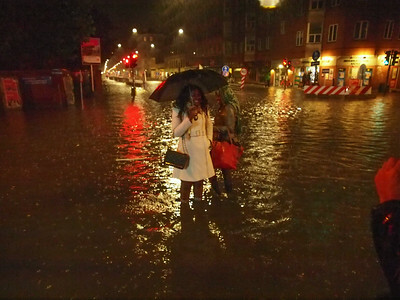 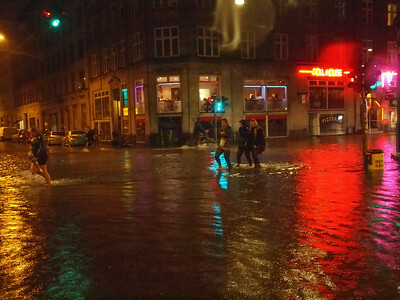 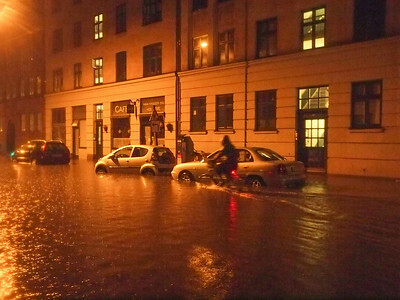 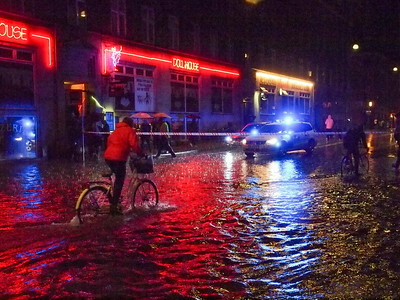 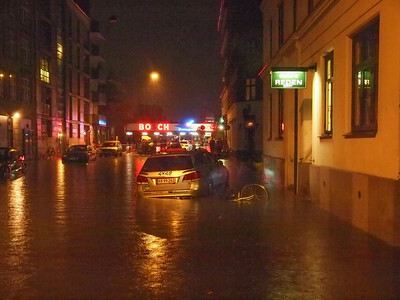 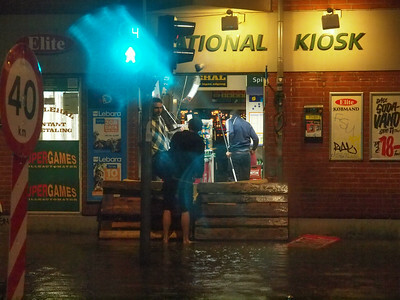 Cloudburst hit Copenhagen on August 31. 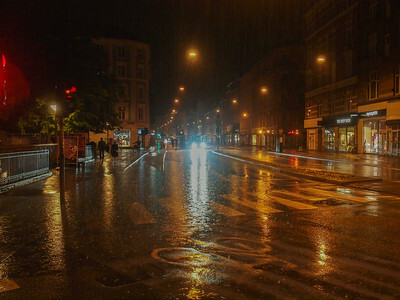 2014 at 04.00. 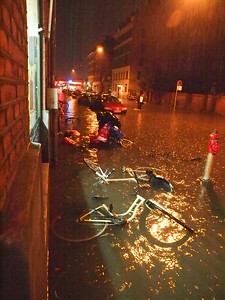  Here is some pictures and a video of the result. 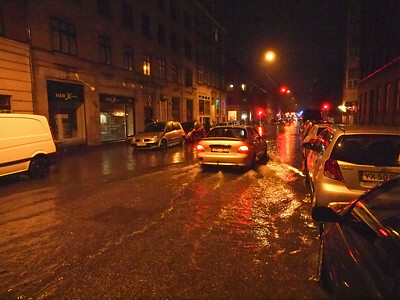 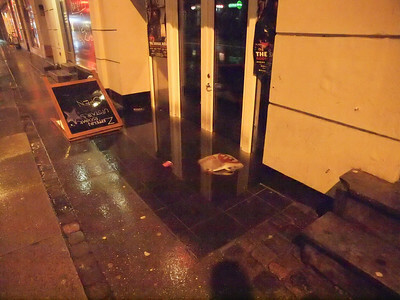 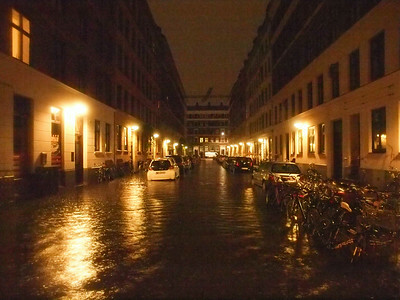 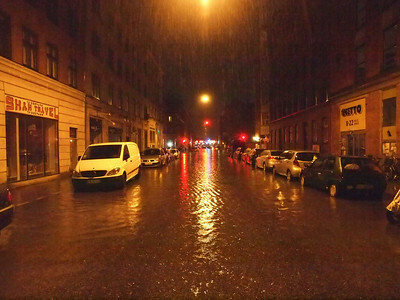 Cloudburst, Copenhagen Vesterbro, August 31 - 2014 at 04.00 to 05.00.